The Subway Surfers: GIG! July 18: Versus THE VON GHOULS! GIG! July 18: Versus THE VON GHOULS! 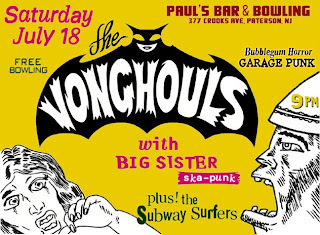 It's the Subway Surfers versus their old Little Steven Garage Band Contest rivals, the Von Ghouls! This is a rare “Winner Leaves Town Match”, where the loser has to stay in Paterson! $5 admission includes unlimited free bowling!!! Root Explorer is the ultimate file manager for root users. Access the whole of android's file system (including the elusive data folder!). root explorer apk . Features include SQLite database viewer, Text Editor, create and extract zip or tar/gzip files, extract rar archives, multi-select, execute scripts, search, remount, permissions, bookmarks, send files (via email, bluetooth etc), image thumbnails, APK binary XML viewer, change file owner and group.